Vinyl-backed needle punch wiper/scraper mat featuring chevron-patterned surface and standard vinyl backing for medium traffic. 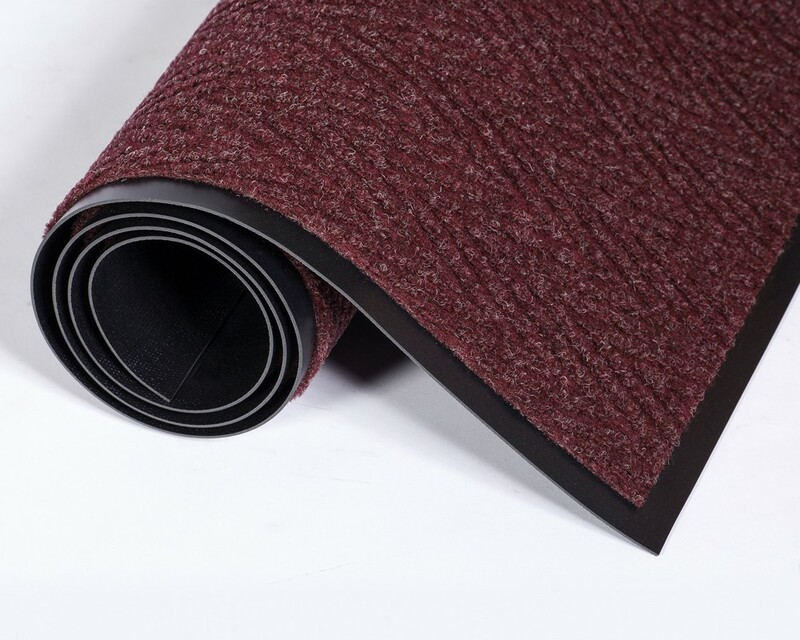 We offer it in standard mat sizes, rolls, or can provide custom mats for your requirements. 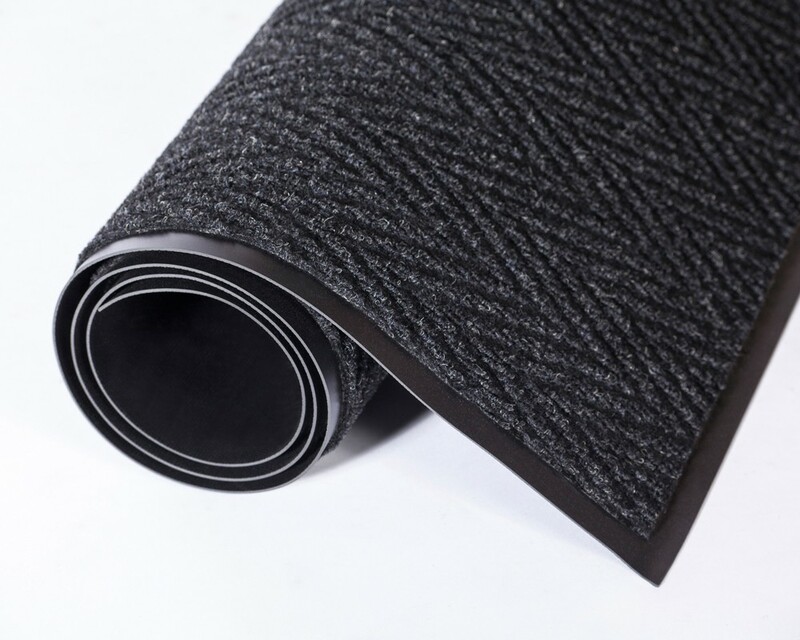 Floormat.com can provide it in a wide variety of custom sizes and shapes, with angle cuts for offset doorways, circular cuts to fit openings, and more. 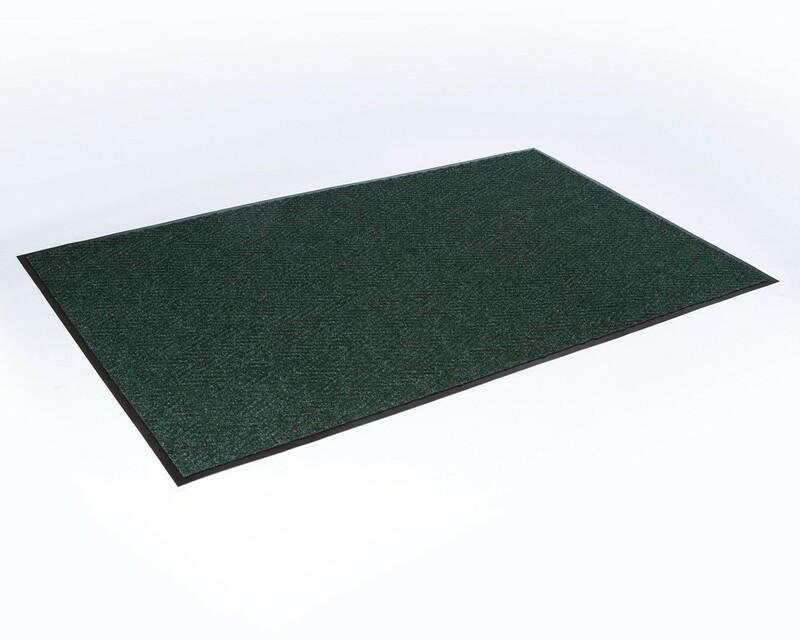 Heavy duty edging can be added for higher traffic areas. Simply e-mail a template with dimensions for a quote. 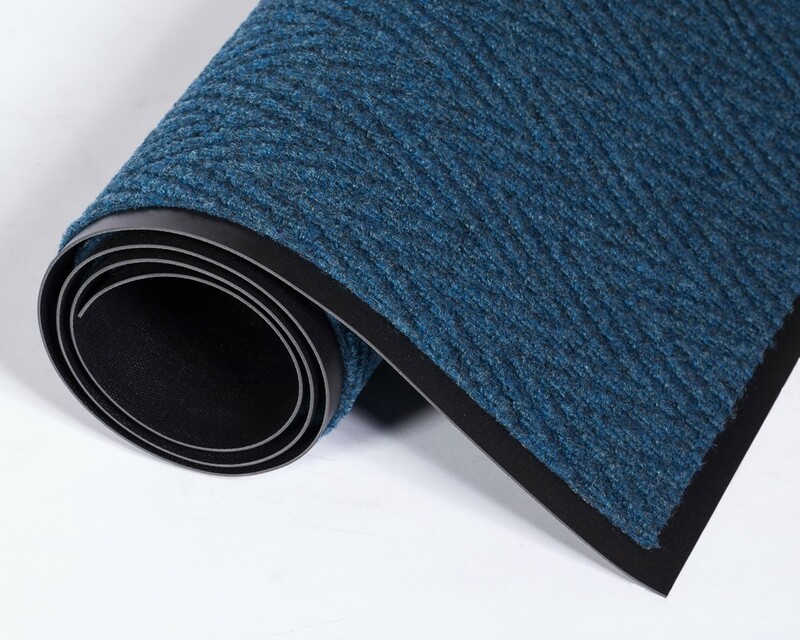 High quality carpeting sculptured in a distinctive herringbone pattern. Hi-lo carpeting of 100% polypropylene brushes dirt and moisture off shoes — for later "shake out" cleaning or vacuuming. Can be seamed to create large, custom sizes. 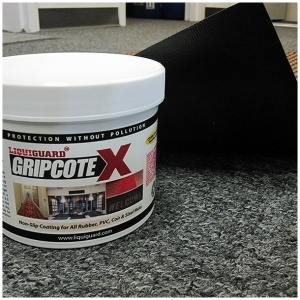 Exceptionally durable. Ideal for indoor or outdoor use. Color-coordinated, heavy duty vinyl base is slip and stain resistant. 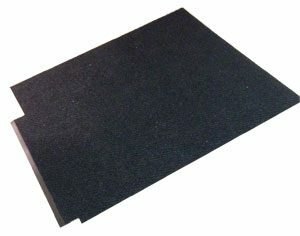 Please note: Rubber-soled shoes may act as insulators, causing the mat to function improperly.